CHICAGO — Inside a former flower shipping depot in Bucktown, a new club is hoping a different kind of tropical export will catch on: shuffleboard. 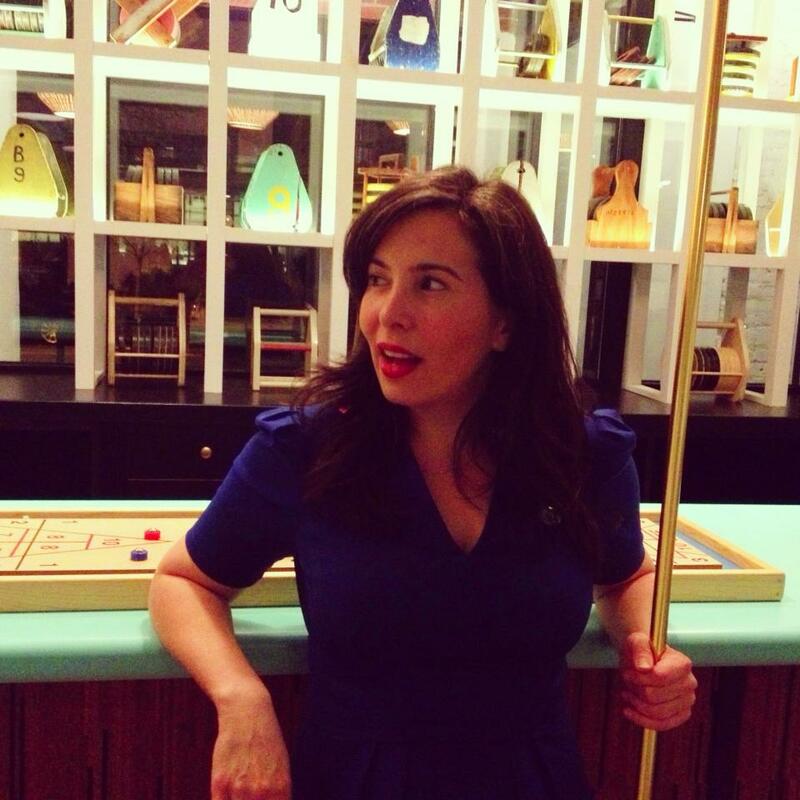 Royal Palms Shuffleboard Club co-owner Ashley Albert says the sport is most popular in retirement and nursing homes in her native Florida. (I do hope, and expect, that Ashley is being misquoted.) Which is fine, except its fans weren’t exactly getting younger. Albert says some young guests ask her if she invented the sport, but its history goes back just over 100 years in the U.S., and the sport itself began in Britain over 500 years ago. For the uninitiated, the club gives a lesson in how to play, which only takes a couple minutes. “It’s very hard to be very good at shuffleboard, but it’s very hard to be bad at shuffleboard,” Albert said. Teams of two stand opposite their partners on the ends of a narrow court, and use a long cue to push discs towards a triangular target on the opposite end. Depending on where on the target the discs stop, each team earns (or loses) points. The casual game is more about strategy than strength, which isn’t surprising given its popularity with elderly players. There’s also plenty of time for conversation, and servers at the club give out pointers and beverages at regular intervals. “It’s one of the few things you can do with a drink in your hand,” Albert said. Royal Palms’ Chicago location is the after the original opened in Brooklyn around four years ago. There as in Chicago, the cocktails are named after legends of the game, like top-ranked Earl Ball, Hall-of-Famer Glenna Earle and Shuffleboard Bob, who also teaches clinics at the club. Albert says over the years they’ve also become entrenched in the wider shuffleboard community, which has embraced them in turn. “They could have been very protective of the sport, but I think they’re excited of the idea of it living on,” Albert said. (Well said on that one Ashley!!) Stan in red quote.